Ricky Nolasco lasted 5.2 innings before exiting the game with a calf cramp. He allowed five hits and three walks to total just two earned runs for the Nationals. He also managed to fan six on his way to his sixth win of the season on Wednesday. 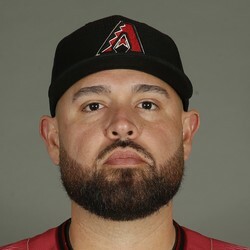 Nolasco needed this bounce-back performance after allowing 10 earned runs in his past two outings (9.0 innings total). Not much is thought to come from the calf cramp, so he should be set to make his next start agains the Rangers. Ricky isn't going to win you any fantasy championships, but with the Angels surging late, he is certainly a considerable streaming option. He also a sneaky DFS play, however as indicated by his ups and downs, it could prove difficult to pick your spots with Nolasco.